The VariZoom CinemaPro "Talon" Master Control Kit is a motion head designed to make precise movements with high levels of precision and repeatability. The head is compatible with Maya, Kuper, Alias, as well as many other CG software applications, making it ideal for special effect compositing. Costing nearly 1/3rd of systems with the same capability, the Talon is as practical as it is useful. Additional features include a built in intervalometer, 360° rotating axis, programmable motion settings, a 2500' (762 m) range, and recording of up to 2000 takes. 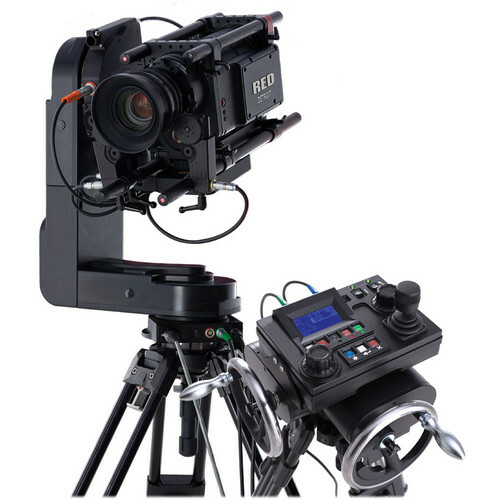 Joystick control for pan, tilt and zoom with a knob control for focus. Record and move to up to 2000 marked positions. Record and playback more than 1 hour in up to 2000 takes. Share recorded data with laptop including streaming and upload/download. Programmable maximum speeds for each motor. Precise homing via operator command. Up to 2500' (762 m) between controller and head. Servo tuning from remote console. Fujinon, Canon and Preston serial and analog lens control. Intervalometer operation; stretch any move in time. Extremely rigid with precise smooth motion for long lenses. Full slip-rings for continuous 360° motion.